There’s no such thing as easy to use for everyone. I’ve bought many transportation tickets in my life before. I’ve even muddled my way through machines where I couldn’t read the language. I have a great track record. However, the first ticket machine I encountered in Japan had me stumped. My two friends and I stood in front of the machine puzzling over how to get a ticket from it before eventually admitting defeat. We had tried everything. We’d even resorted to pressing every single button on the screen. We couldn’t figure out how to select our destination even though everything was in English! This was a classic example of a mental model problem. 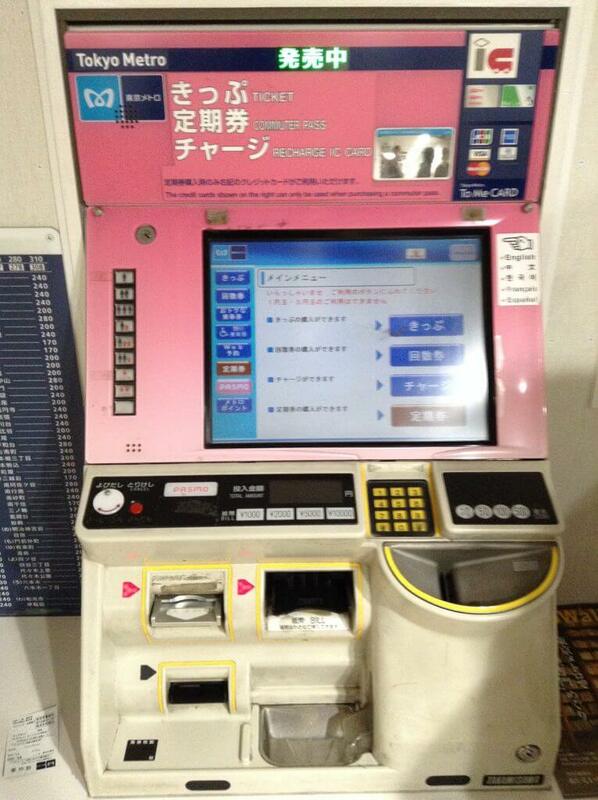 One of the many ticketing machines in Japan. They all looked similar to this. Eventually, we found a man who spoke English and he explained to us that we had to put money in before interacting with the machine. So, we returned to the machine with a new determination, using the signs around us to calculate out how much it would cost to get to the station we wanted to go to. We figured the number out, put in the change, and simply pressed that we wanted three tickets for this amount. It was smooth sailing from there. Why was this machine hard? Why were we stuck when this machine actually wasn’t that complex? Why was no one else confused? Every ticketing machine that the three of us had used before followed the same process: select destination, select number of tickets, view price, pay price. We’d used machines in France, China, The Netherlands, South Korea, the US, and Canada, that all followed this order. This was our model of how these machines work. We never expected that we would have to calculate how much we owed ourselves. This completely breaks from the model. It moves the last step all the way up to the first. This interaction seemed totally bizarre to me and I found myself struggling with other machines I encountered in Japan as well for this same reason. Every machine always expected me to put my money in first. Why was this model different? It took until I got to another machine for this model to finally click for me. Feeling thirsty one day, I decided to use one of the many drink vending machines lining the streets of Japan. I’d seen these all over – really – everywhere. Often there were multiple machines in a single block. It had taken me until now, however, to actually use one. I found a drink that looked interesting and read beneath it that it was only 100 yen. So, I popped the coin in the machine, pressed the button beneath the drink and heard a thud as my drink was dispensed at the bottom of the machine. It was all very normal and I retrieved my drink without any difficulties. It took me a few moments to realize that every machine I had encountered up until now operated exactly like this vending machine had. This was the mental model that everything was based on. Every machine in Japan was a vending machine. Armed with this revelation, suddenly, everything made a lot more sense. Overnight I was transformed into an expert user. I flew through new machines with ease. If your machine doesn’t match the mental model of users, then they will find it difficult to use. As the machines in Japan demonstrate, all humans aren’t the same. What works well with one group of people in one country might not work with another group in another country. Cultural experience can have an impact on how people think and interact with different things. If the company that produced this machine decided to sell this machine in Canada, no one would be able to use it. Likewise, if we took one of our ticketing machines and brought it to Japan, it would be a failure. Each design needs to fit the users and the environment that it will be used in. If you switch out either the user or the environment than the optimal design could change substantially. This can result in a successful product becoming a complete failure in another country. Cultural differences don’t just affect how people use things, it also affects if they will use things. I once attended a presentation by PayPal’s research team where they discussed the usability testing they had conducted for the PayPal website in Germany. They were looking to uncover if the website was easy to use, but they instead uncovered that no one wanted to use it. You see, Germans prefer cash. The explosive growth PayPal was able to see in the US wasn’t going to happen in Germany. The PayPal service didn’t fit into their potential users lives the way it did in the United States. Like the Home Depot in China, it just wasn’t something they wanted to use. Examples of products or services that didn’t take off as expected are abundant. Don’t join the graveyard of failure. Like you would research and test with your local users, research and test with your foreign users as well. Follow in the footsteps of companies like PayPal and before you invest all that money – do a bit of research first. Michelle believes that good design is like silence. You never seem to notice when it’s there, but its absence is always missed. With a thorough understanding of end users, Michelle Brown creates these silent designs that support users through every step of their journey. She delights in crafting pleasurable experiences through a variety of research and design methods and is always pleased to use her knowledge to take designs to the next level. Her experience spans wireframe creation, usability testing, persona development, design feedback, and card sorting. As an Experience Architect, she has proven that she can meet aggressive schedule objectives and deliver actionable results. Michelle has a MSc. in Computer Science with a specialization in Human Computer Interaction and is an Experience Architect at Akendi, a firm dedicated to creating intentional experiences through end-to-end experience design.